Learn how to prepare a traditional Tuscan meal by taking a Tuscan cooking class during your vacation in Chianti and Tuscany. Jacopo and Anna, of "Let's Cook", offer classes in the art of traditional Tuscan cooking, from pasta preparation through roast meat courses. Course are available at an attractive apartment in a historic palazzo in Florence or at their Tuscan farmhouse near Montespertoli. 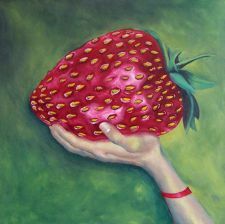 They also offer meals catered at your vacation accommodation in Chianti. More about "Let's Cook" with Jacopo and Anna. 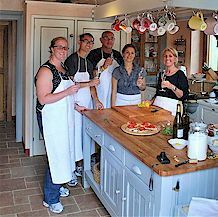 One of the most convenient ways to learn about Tuscany cookery is to have your lesson or lessons where you're staying. It's really great to be able to dine on the products of your labours without the prospect of driving home afterwards! 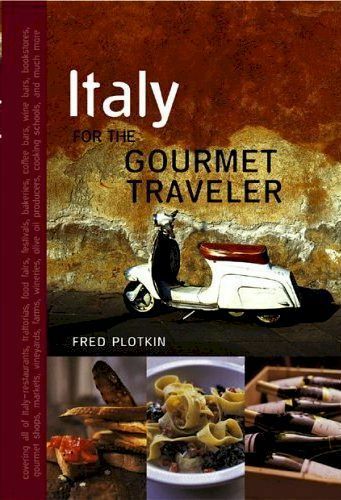 Simonetta Landati, proprietress of Le Cetinelle B&B near Greve in Chianti offers exactly this. Le Cetinelle is a small B&B agriturismo located high up in the cool Chianti hills. It offers several rooms and an apartment, with swimming pool, cooking facilities and so on. You can have just a single cooking lesson or several on different days, and the lessons can be aimed at lunch dishes if taken in the morning, or at dinner specialities if taken in the afternoon. If you're more interested in dining than cooking, Simonetta also does excellent tradtional Tuscan dinners. 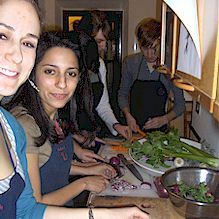 More about Tuscan cookery lessons at B&B Le Cetinelle in Chianti. This is a justly famous butcher's shop in Panzano that provides excellent cuts of fresh meat and prepared meats. The owner, Dario Cecchini, who is a good cook in addition to being a highly imaginative butcher, vigorously promotes traditional Tuscan food. More about Antica Macelleria Cecchini. 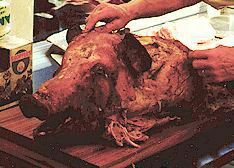 More about porchetta - Tuscan roast pork. Mediaeval Dinner in Certaldo – “A cena da Messer Boccaccio?? ?.